We discovered the DQ in town last year. Miss Kitty Kat insisted if I was going to consume adult beverages, I was going to take her to DQ at least once a day for "Blizzards". Never argue with women that know how to shoot. I have not cleared it through the Powers That Be, but I think we can make the ice cream happen. If nothing else I will get Lady T a freezer and she can sell ice cream out of the Motor Home, she has been looking for a 4th business she can get into. I figure we should be able to work something out with DQ (Match Sponsor) or Wallyworld (only if no other choice) to keep a freezer stocked for 4 days. We may have to designate someone to pick up the bars, sandwiches and what not each day. I will work with Ms Bo and Iron Maiden to see if we can make something like that happen. God Tombstone! You two will become Kitty Kat's best friends. She'll be "ice cream intoxicated" her entire time at Black Gold. Yeah, that's just what we need....another intoxicant floating around in that Eastern Kentucky holler! Well, it looks like we'll have ice cream at the Shootout. And Titus, what could possibly be wrong with having another cowgirl buzzed? You and me, Brother!! YOU AND ME!!! Let's (You and ME) just put it on Waimea's tab. I hope you all have better luck with Lady T and credit than I did or do. She wanted some pretty steep collateral from me, of course I am an Outlaw. Yeah!! But she loves us!! She just lives with you!! I gotta watch my back. And who said all the wimmens like me? And why didn't they tell me!?! P.S.S. - The 1st Ice Cream Sammich will be on me. Well this may come as a big surprise but I don't know how to read. I can only write. Yeah, now you feel my pain. Anyhow, Blkwtr Is a scoundrel and I believe that the only reason he is married to such a sweetheart is that he caught her young, very young. Because we compared cradle robbing techniques. I will take you up on the 1st ice cream sammich being on you. Then we can eat the second one. WHYME is RIGHT!! I AM a scoundrel!! I'm PROUD OF IT!! My effect on SOME women is, without question, phenomenal!! I don't understand it, but I'm smart enough to acknowledge and accept it!! The Ice Cream sammich "on him" is obviously one that is still in the wrapper!! Makes a great "cooler offer" on a hot day!! A swipe around yer neck afore ya' unwrap and devour the thang is the absolute best!! My uncle John was a multi-millionaire! (never left me anything) He used to say, "I'm deaf, blind, and stupid!! I can't read or write!! All I know how to do is count money and sign the back of a check!!!" Waimea, you're missing a great sales opportunity here! Get a free ice cream sandwich with every box of "Outlaw Bullets" you purchase at Black Gold. Sweetest bullet prices at Black Gold just got sweeter. 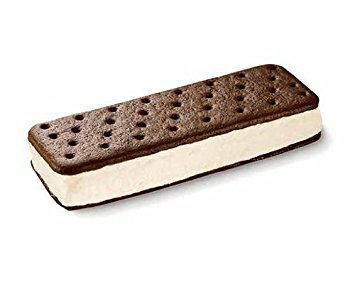 $1 per box credit towards ice cream sammich purchase. I would say free ice cream sammich with purchase but then nobody has actually said they would be $1.00 except for Widder but he ain't SELLING. Waimea speaks wise words, temperature at time of purchase will directly affect pricing. We will have to work out a matrix for pricing base on temperature, humidity, time of day, price of tea in China, you know all the official indicators and such. How about a sliding scale. You know the more boxes you buy the more IceCream you get. Like 1 for 1, 3 for 2, 5 for 3 and 7 for 4. I'm planning on 13 sammiches. I said I'm easy not stupid. $1 ICC* for 1 box. $1.75 ICC for 2 boxes. $2.50 ICC for 3 boxes. We'll call it the Noz Scale. That way everyone will know who to thank. Red Knee says he's bringing his own sammiches and yer on yer own. Widder lets me shoot a few of his shotshells at Tennessee state and now he wants to use my credit....???? RED KNEE: its a 'Black Gold' tradition that all First Time shooters at BG must treat a JEDI GF to an Ice Cream...... whether it be a sammich on the range OR at the local DQ. Surely you wouldn't want to break a 'tradition'. What do I get for 4? How about we just go for the $1 ICC for each box purchased? That makes it easier to understand. Answer: $4 ICC for 4 boxes. My bad.....ice cream for each hand on me!!! I think Red Knee has the BIG picture. And once you make it to Black Gold, you could gain 'Legend' status. It's an age old tradition, it goes way, way back. There probably won't be more than 75 or 80 Jedi Gunfighters standing by the freezer waiting for RED KNEE! Strange that you mention the large number of Jedi at Black Gold! It DOES seem to draw a healthy participation number!! It also seems to attract the Outlaws in droves as well!! Well, according to Widder, RED KNEE is gonna hook us all up with ice cream. YEAH!! But the ice cream sammiches are something NEW!! We been drawin' Outlaws and Jedi to this soiree fer a long time!! Must have sumthin' ta do with bein' close to the federal penetentury!! Or, might it be, the abundance of "adult liquids" that are cheaper and more readily available than those pricey ice cream sandwiches.